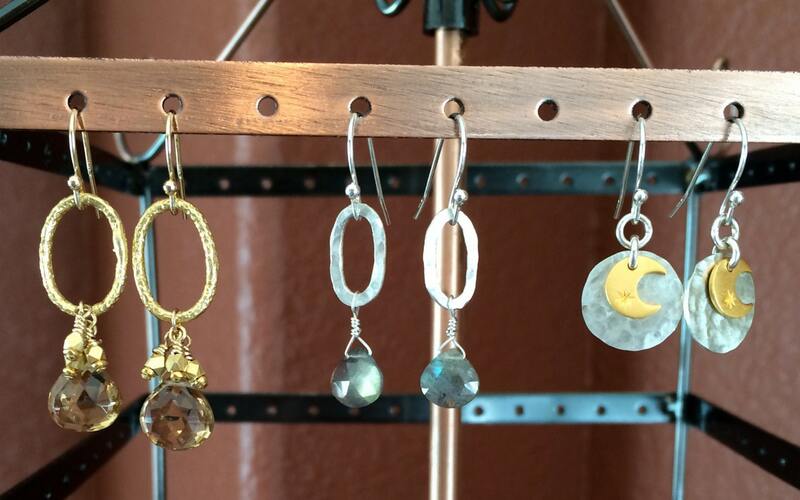 The perfect mixed metal earrings for everyday wear. 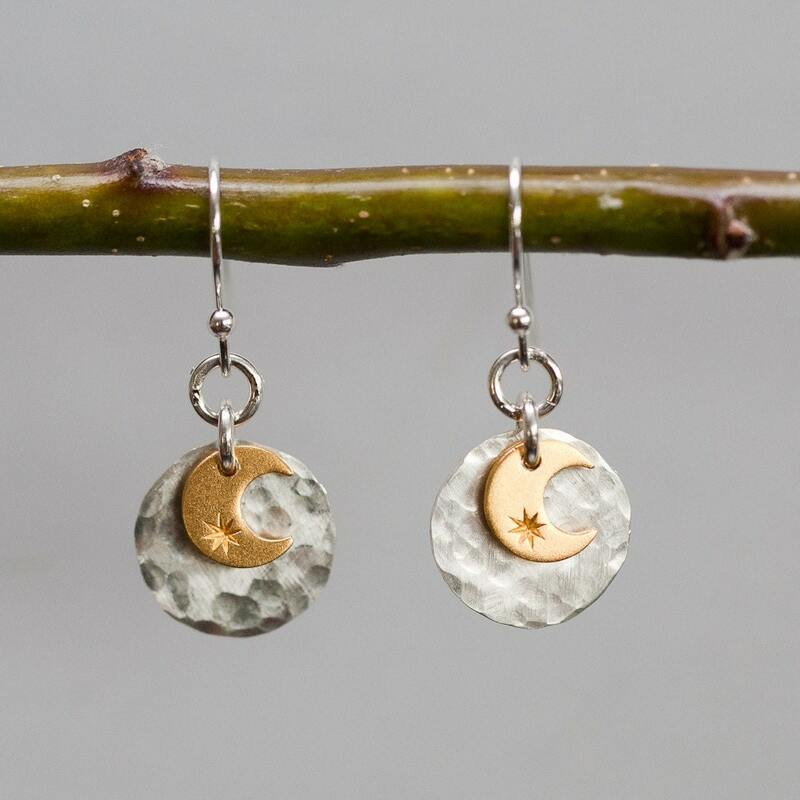 Vermeil moon crescents dangle in front of hammered silver disks. 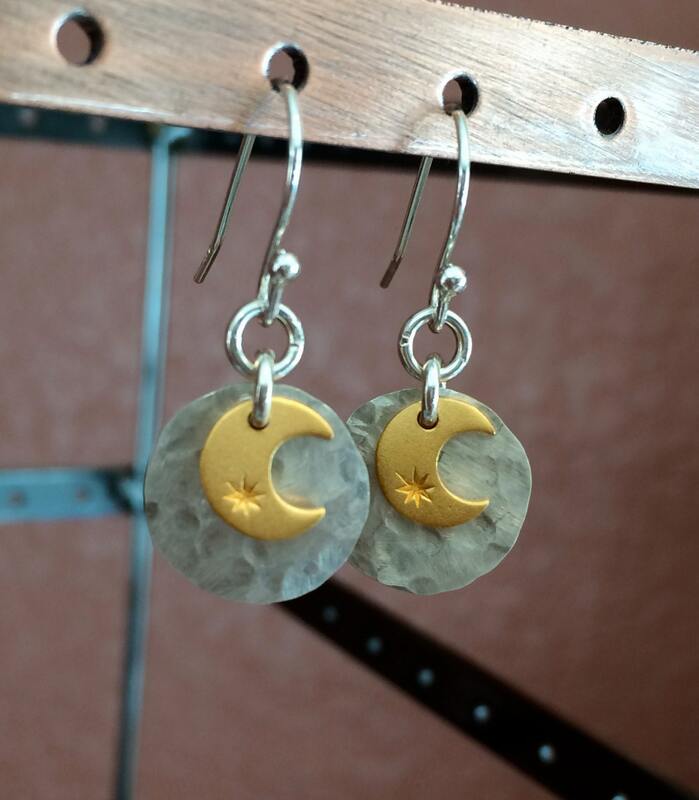 These earrings measure 3/4", but the silver disk is 1/2" in diameter. Vermeil is 24 karat gold over sterling silver. I hammer each of these disks to give them a matte finish. The effect is a bit rustic and a bit fabulous! Finished with sterling silver French ear wires.